Includes one pair of high performance Ultra-Clear DLP LINK 3D Glasses, microfiber cleaning cloth and glasses bag. Our Ultra-Clear HD 3-D Glasses equal and exceed the quality and comfort of all major brands. Now you don't have to pay hundreds of dollars for extra 3D glasses! Works great with any DLP Link compatible 3D Device. 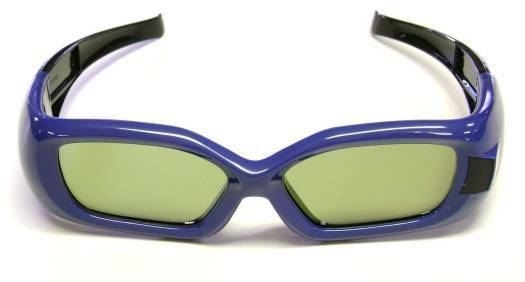 Please Note: These high performance 3D Glasses are fully compatible with any DLP Link Based setup. DLP Link Products include most 3D Ready Projectors & many DLP televisions. No transmitter is needed as DLP Link devices already put off a 3D signal for the Ultra-Clear DLP link 3D Shutter glasses to decode. For International Customers only these glasses will ship without batteries due to new USPS Regulations (no worries as you can easily pick up CR2032 batteries for less than $1 each easily on the Internet). One Battery typically lasts about 100-200 hours depending on usage. Thanks for looking!